This week I am thrilled to have Brian Granader from Red Lotus Yoga on the podcast! Brian and his wife, Kate are the Owners of Red Lotus Yoga. Brian is also the Director of the Red Lotus School of Yoga (where he’s been training yoga instructors since 2007), a devoted husband, father, and dynamite yoga teacher. Formerly in the real estate industry, Brian made the transition to owner of a yoga studio over the course of a couple years. First, he started practicing yoga, then took a teacher training program that made him rethink what he was doing for work. He finally took the leap and started teaching full time, soon to open his first studio in 2003: Red Lotus Yoga in Rochester Hills, Michigan. Brian and Kate are opening their second location this week: September 24, 2016 in Troy, Michigan. Red Lotus is one of my favorite studios because it teaches yoga to every-body. As a long time practitioner and yoga teacher myself, I watch complete beginners to very advanced practitioners THRIVE in this studio. The philosophy taught is smart in every way possible: straight forward, understandable, relatable, and the teachers know it so well, they could explain it to a child. This is what makes great teachers great: the ability to meet students wherever they are and help them grow by using their own internal guidance, intuition and ability. 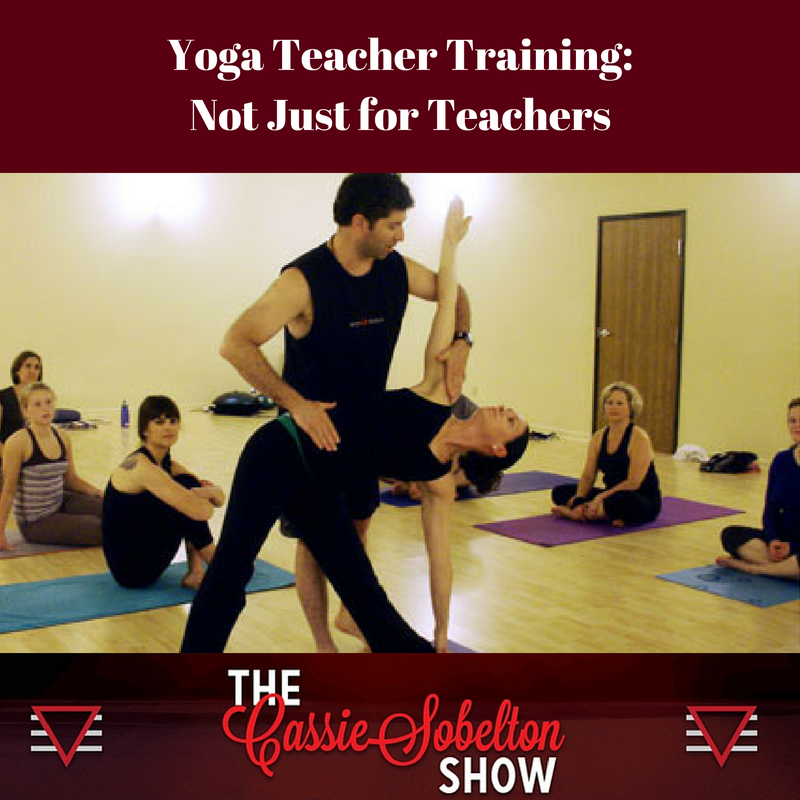 Brian and I discuss many topics this week, but one thing that really stood out to me was the topic of yoga teacher training being lifestyle training. If you want to further your understanding of your body, your mind and your spirit, yoga teacher training can open the door to that understanding. It’s not just for those who want to teach yoga. It’s for those who want to advance their health in every way: mental, physical and spiritual. Brian runs yoga teacher training programs often at his studio. Click here to learn more. Also, come check out Red Lotus Yoga's new studio in Troy at the corners of Big Beaver and John R road. I will be practicing with friends and family during one of Brian’s slow flow classes on Friday, September 30 from 5:45 pm – 6:45 pm if you care to join us. We would love to see you there! Click the links below to listen to this podcast, as well as connect with Brian and his studio at the below links.